This charming 3 bedroom, 1.5 bath 1930’s bungalow is overflowing with character while also enjoying recent improvements including newer roof, A/C, remodeled kitchen, rewiring and tankless water heater! 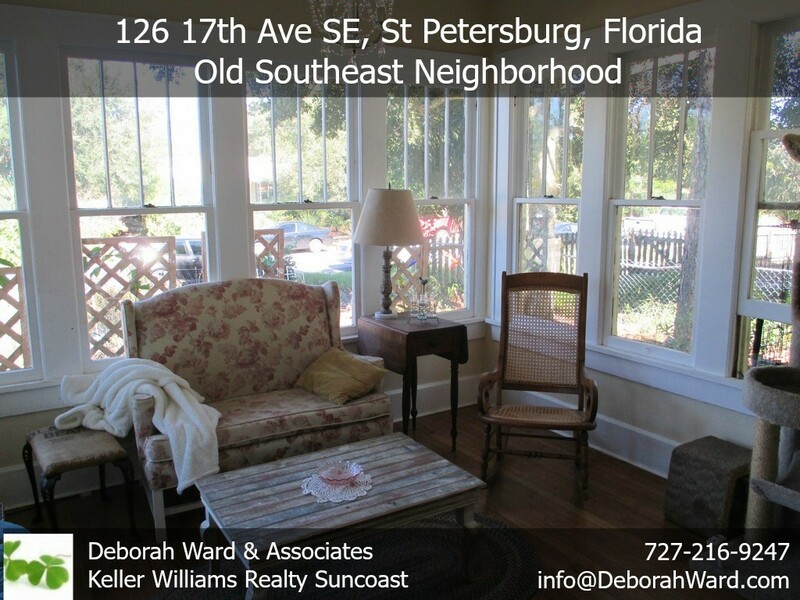 The attractive two-story house is located in the Old Southeast neighborhood, and features an impressive covered porch entrance and a vintage style carport, along with a sunroom overlooking the Florida friendly natural landscaped front yard. The detached 2-car garage is tucked behind the carport in the rear of the property. From the moment you enter the house you will appreciate the sunlit open layout, the cozy wood burning fireplace, and the unique built-ins and window seats in the living room and dining room. The gleaming refinished wood flooring, and the original leaded windows add to the appeal of this delightful property. In addition to the front sunroom, there is another rear facing sunroom which makes a perfect office. The kitchen offers new, light colored cabinetry, quality stainless steel appliances, stylish lighting and granite counters. Upstairs there are three very generously sized bedrooms which share the large bathroom that has been preserved with all original fixtures and tile and complements the vintage ambiance of this home. With downtown St Pete just a few minutes drive away, waterfront Lassing Park just down the street, and NO FLOOD INSURANCE REQUIRED, this truly is a treasure and will sell fast!